Optical character recognition, usually abbreviated to OCR, is the mechanical or electronic conversion of scanned images of handwritten, typewritten or printed text into machine-encoded text. It is widely used as a form of data entry from some sort of original paper data source, whether documents, sales receipts, mail, or any number of printed records. It is a common method of digitizing printed texts so that they can be electronically searched, stored more compactly, displayed on-line, and used in machine processes such as machine translation, text-to-speech and text mining. OCR is a field of research in pattern recognition, artificial intelligence and computer vision. OCR can handle images with multiple column text and also supports more languages: Bulgarian, Catalan, Czech, Danish, Dutch, English, Finnish, French, German, Greek, Hungarian, Indonesian, Italian, Latvian, Lithuanian, Norwegian, Polish, Portuguese, Romanian, Russian, Serbian, Slovak, Slovene, Spanish, Swedish, Tagalog, Turkish, Ukrainian, Vietnamese. There are companies where a high volume of paper documents needs to be scanned on a daily basis. For such companies ordinary scanning software is of little or no use because scanning page by page is very time consuming. 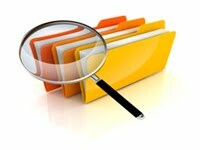 Batch scanning software can automate scanning of huge volume of documents. This software is designed to scan thousands of paper documents as a single batch. Batch scanning software can scan numerous documents in less time with very little manual intervention. It helps in easier copying and storage of huge number of documents in the database. Document conversion is the act of converting one document's format to another, which allows the document to be read in many more applications. Documents can be converted into other source document formats, consumer formats, structured data. These files are often modified by the original author, or by one of their colleagues. Detecting differences in small files is not a problem; however when the files become large and complex, our software makes detecting changes a simple one. ‘Diff Doc’, the worlds first comprehensive document comparison tool, was built to compare files of all types including PDF, Word, Excel, PowerPoint, HTML, XML, RTF, Text and more. Elish Consulting provides small businesses a solution to all their faxing needs. Companies can realize significant cost savings by outsourcing their fax service, eliminating costly in-house fax servers, multiple phone lines, as well as a management team to maintain them. Because faxes are delivered as PDF documents to an email address, customers can access and archive faxes anywhere they are, allowing for maximum mobility of the business professional. Reduce your fax messaging costs by up to 70% Comprehensive portfolio of cloud messaging services including Desktop Messaging, Production Messaging, Document Capture and Management and Workflow Services Automate messaging, improve productivity, and reduce cycle times while eliminating the costs and complexity of managing your own fax infrastructure Facilitate compliance with today's privacy, security and records-keeping mandates.